To the extent that as AutoCAD getting harder and more complex support all object types, DXF has become increasingly less useful. New objects in the format specification were described not fully or not been described at all. Most commercial application developers, including competitors Autodesk, as the main exchange format with AutoCAD using DWG format, through libraries provided by a non-profit organization Open Design Alliance, which was carried out reverse engineering the DWG. 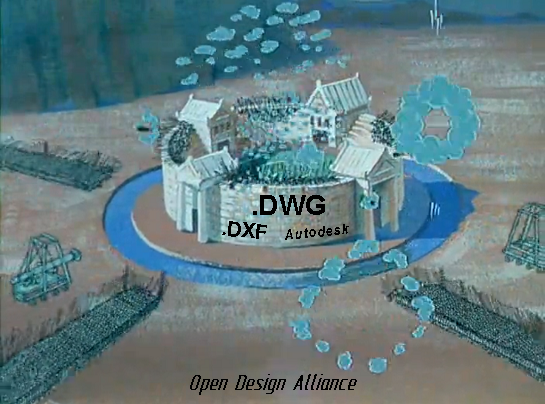 According to the participants of the consortium Open Design Alliance, it should contribute to the spread of the DWG format as an open standard for exchanging data between different CAD systems. If you look at the list of members of the consortium Open Design Alliance we see organizations such as Adobe Systems, ASCON, Nanosoft, Oracle Corporation, Siemens PLM Software, SolidWorks Corporation, Tekla, etc. Let's see what is written in Wikipedia about the alliance. Open Design Alliance is promoting DWG file format as an open standard for the exchange of data between different CAD systems. 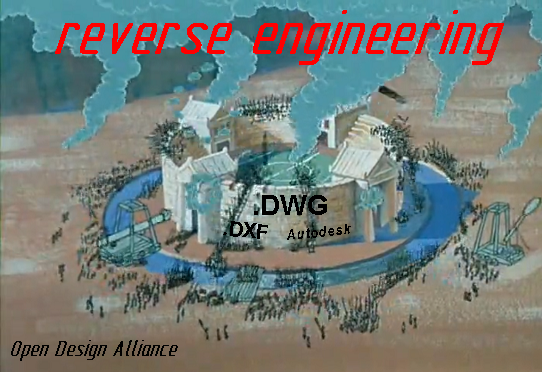 At the same time, Autodesk does not want to open the DWG file format specification and proposes to use for data exchange format DXF. Alternatively DWGDirect company Autodesk has developed software library RealDWG, which is licensed for applications that do not competing with the products of Autodesk. 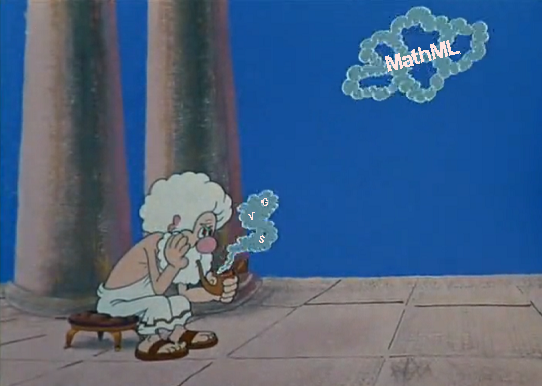 Let's look at the clouds. Having glanced in the Wikipediaa look what they write about W3C. W3C is developing for the web common principles and standards, which are then being introduced software and hardware manufacturers. Thus achieving compatibility between software and hardware of different companies that make the World Wide Web more perfect, versatile and comfortable. 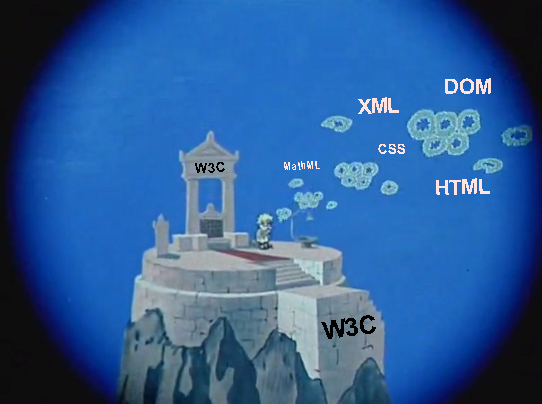 The mission of W3C: «fully unlock the potential of the World Wide Web through the creation of protocols and principles that guarantee the long-term development of the Web». 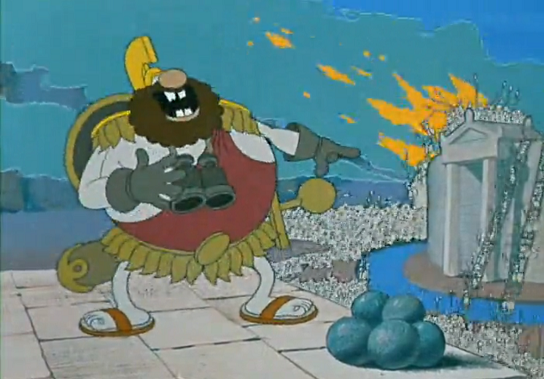 More specifically, the purpose of W3C - computer programs to help achieve the ability to interact on the web. The use of common standards in the network - is a key step to achieve this interaction. 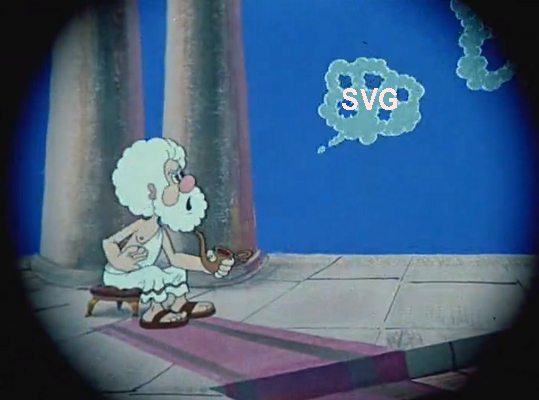 In the minds of the W3C, a new vector graphics format - SVG. 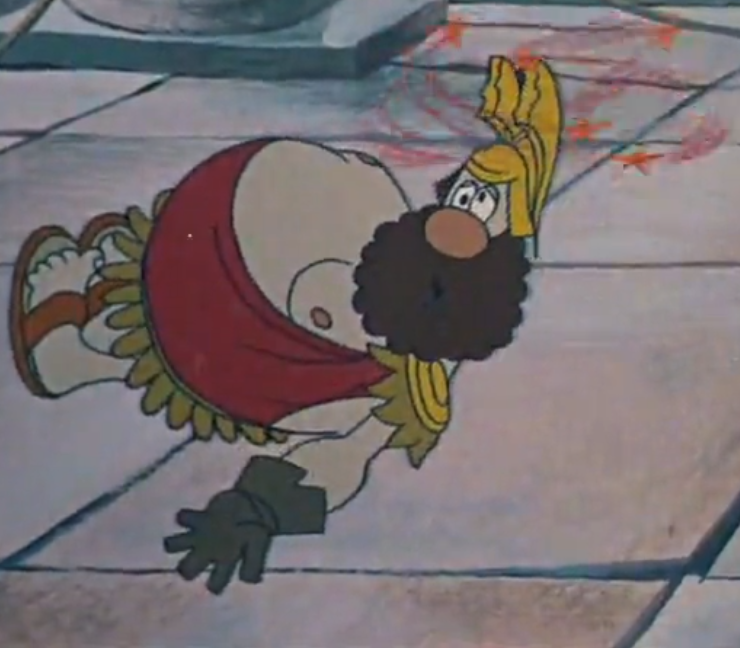 Passed more than 10 years, and the format is not demanded in the development of CAD systems. Browsers started to support in version 1.1. On forum site DWG.RU came across a the phrase. SVG format initially "wrong" is conceived. A very bold statement, it is very difficult to accept. Implemented not a little to SVG beautiful graphics. On the Internet you can find a lot of different information about creating drawings in the format SVG. Most often comes down to a simple export of DXF to SVG with a bunch unnecessary code and thus another editor does not open the correct. There is Online editors SVG. Everywhere written about the disadvantages of using SVG. 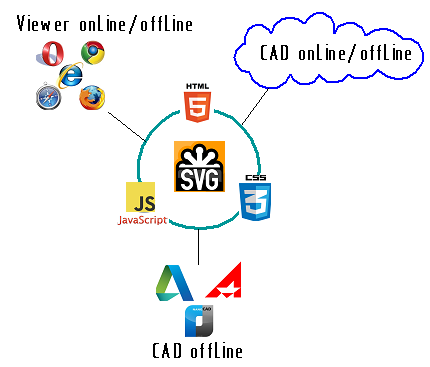 In the minds of enthusiasts there are ideas to create Online CAD. The truth while on the ideas and ends. By the ears started the software from the local machine tighten into clouds with closed formats. A can need a better look at the SVG and stick to a single standard (recommendations) of the file structure to describe the drawings. The demo drawing in SVG format with an external CSS file created directly in Notepad.